Both school principals signing the partnership agreement for one of our partner schools. The president of Chapel Field meets a student from one of our partner schools. Some of our Chinese teachers with the President of Chapel Field. Celebrating the addition of another Chapel Field Partner School! The President of Chapel Field with some of our supporters in Shenzhen. 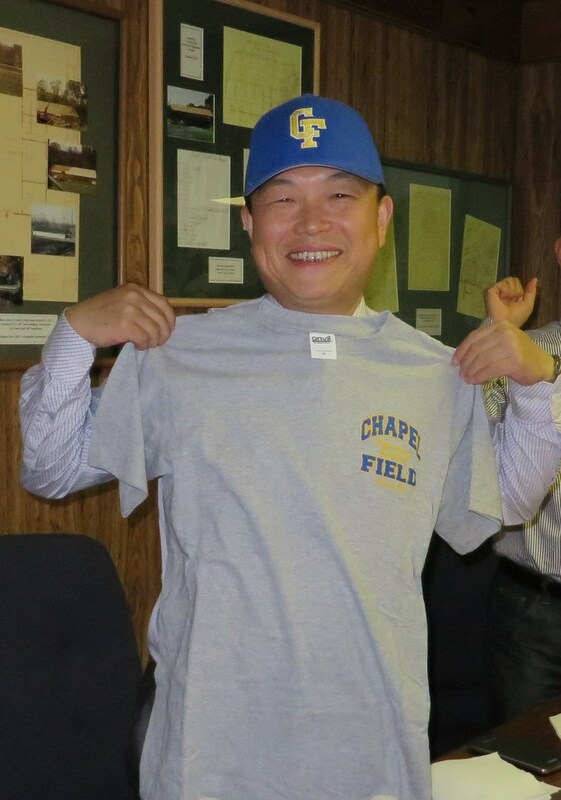 Chapel Field is working alongside Chinese educators to combine the best of American and Chinese education in our Chinese partner schools. We now have contracts to teach our curriculum with seven secondary partnership schools in China, located in the provinces and cities of Shenzhen, Shanghai, Suzhou, Zhejiang, Xiamen, and Nanjing. A MAP OF WHERE OUR SEVERAL PARTNER SCHOOLS ARE LOCATED.